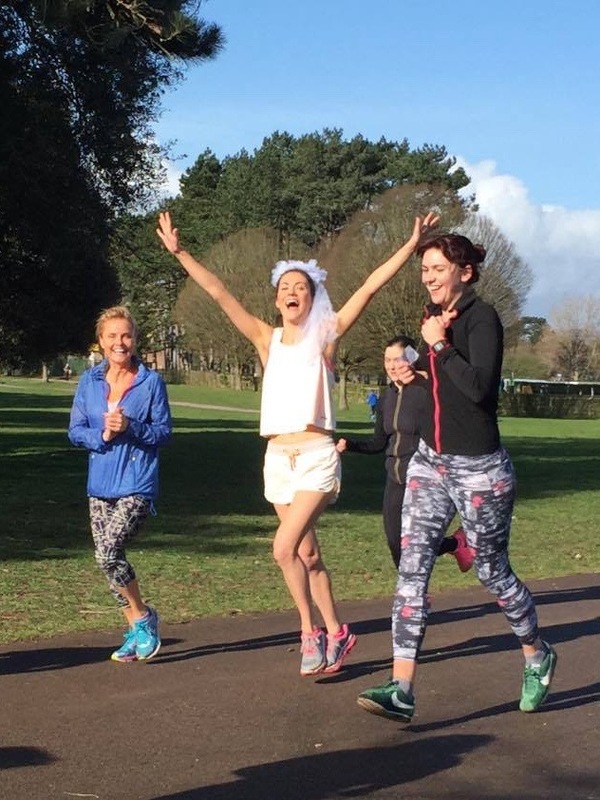 When most brides are having their hair and nails done on their wedding day, I stood sweaty and grinning at the finish line, cheering as some of my friends and family finished their very first parkruns. Others had run beside me the whole 5K, letting me blow off steam about my nerves and excitement for the day, as a great gang had cheered us all the way round, taking photos and singing wedding-related songs. It was the perfect start to the perfect day. I’m not one of those women who ever obsessed about The Dress. I’m not into expensive gowns, and I hate the waste of wearing something once. The idea of a “perfect wedding dress” just doesn’t really factor in my worldview or my passions. Gorgeous laser-cut technical fabric crafted into running wear, on the other hand? Now you’re talking. I spotted the perfect outfit in the Sweaty Betty sale nearly a whole year before the wedding, and had to hide it from myself to stop myself wearing it before the big day. Now, I get to wear a little bit of my wedding day any time I fancy. Who can say that about some big, expensive dress? 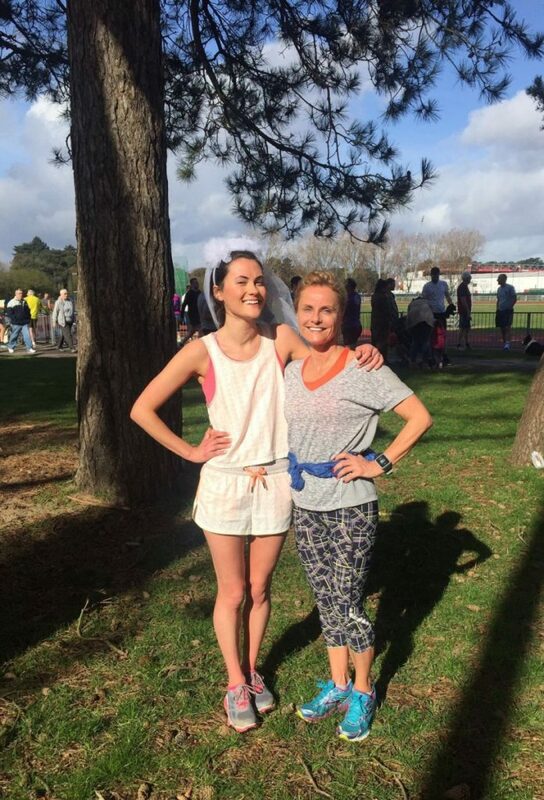 Having the parkrun on the morning meant that I could have a good squeal with my friends and family before the main event. The prospect of walking down the aisle in front of everyone was a bit nervewracking, but getting to hang out on an even playing field (literally) helped ease that pressure. I wasn’t Bibi, all done up and bride-ish, I was just Beebs, having a good time with my family and friends. I can imagine that without having some kind of event, your wedding day could be a bit isolated – you don’t see your partner, and can hardly go and hang out with everyone. The other great thing about parkrun is that it’s so early – I got to be squeezed by everyone, have a few cries and a lot of laughs by 9.45am. My soon to be husband had the same, on the other side of town (probably with fewer tears though). As Mum wrote, we had a drinks do the night before the wedding so that everyone could have a good time and get to know each other. I knew however that there was a chance that some people, myself included, could have a bit too much of a good time with each other, and not be in the best shape for the wedding. 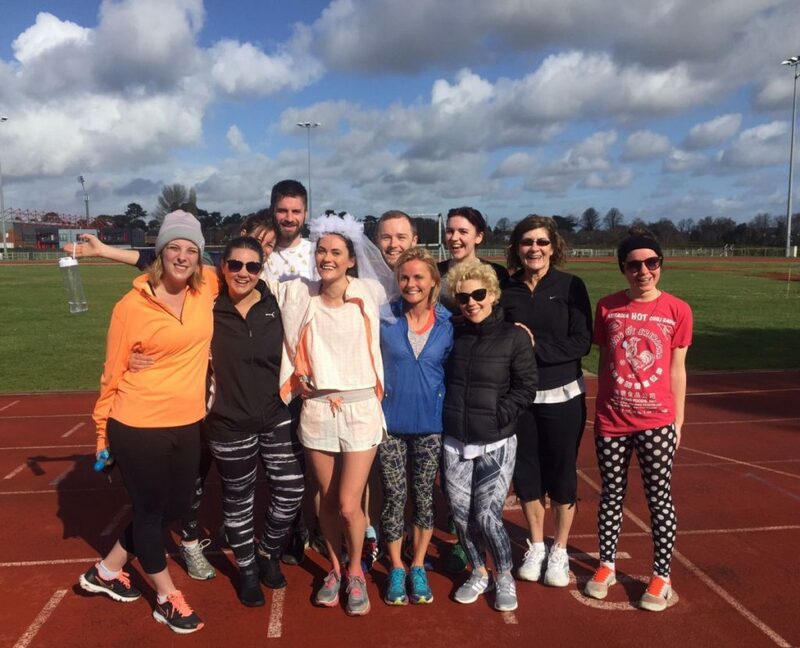 Having an early get up planned with parkrun helped to make sure that we all kept it reasonably together on the Friday, and saved our dancing feet for the wedding reception. I’ve already had messages from my gang telling me they’ve found their local parkruns and have started a new Saturday morning routine. Others, who aren’t ready for 5K, have been in touch saying that they’ve been out for runs around the block, with the intention of joining in a parkrun later in the year. You can imagine how happy this makes me. Parkrun is, for me, one of the purest and most joyful experiences possible. Many of my guests had never been part of one, and I was so pleased that they got to experience it first hand. They were all blown away by the sense of community and belonging, and impressed by the passion of the volunteers and runners. 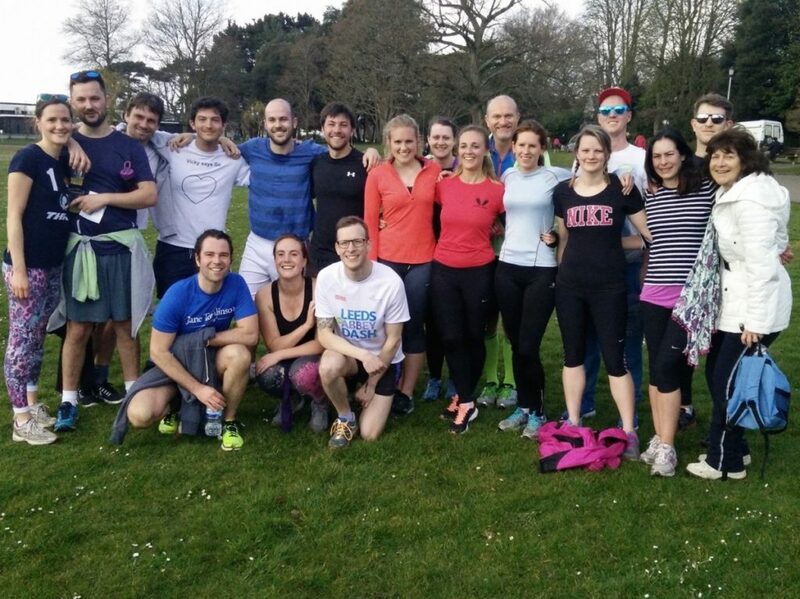 Running with a band of wonderful people – open to all, free for all, forever. How ELSE could I possibly have started my wedding day? It really set the right energy for the day! Thank you lovely. Sounds great! I was always intending to do a parkrun on my wedding day but ended up getting married on a Sunday so wasn’t possible. I did go for a run with my dad on the morning which was lovely to have that special time with him doing something we loved and got rid of some nervous energy, for both of us!! Oh that sounds like such a sweet moment! It’s funny how much the little things are actually the big things for the wedding. We had brunch after the parkrun and it was so lovely. Thank you so much – it did! At least partly because I had got rid of all of those jangly nerves, I think. That’s such a nice idea 🙂 I wasn’t a runner back when I got married, but if I had been I would definitely liked to have started my day this way. I bet you would! It was a really celebratory way of being around everyone without too much pressure.